What is the Professional Fraternity Council? The Professional Fraternity Council or PFC is a student body on a college campus that is responsible for maintaining control over the other professional fraternities. The Professional Fraternity Council has a wide range of responsibilities and is an organization that not many people have heard of. And that is probably because the Professional Fraternity Council works best undercover, working in the dark. The Professional Fraternity Council is tied heavily into the Greek Life system on a college campus. The first and foremost responsibility of the Professional Fraternity Council is to make sure that there are no hazing activities going on in the professional fraternity societies on that college campus. The various but not all professional fraternities include pre-med, pre-law, business, engineering, veterinarian, pharmacy and various honor fraternities. Hazing has been extremely rare through the history of the Professional Fraternities because these societies are more than just brotherhood or friendship. These organizations are usually co-ed and they are tied toward a professional career or graduate school aspect. For example, the pre-med fraternity members all have the aspiring goal of becoming doctors and going to medical school. Likewise for the people in the pre-law fraternity, the members all want to go to law school and become attorneys. 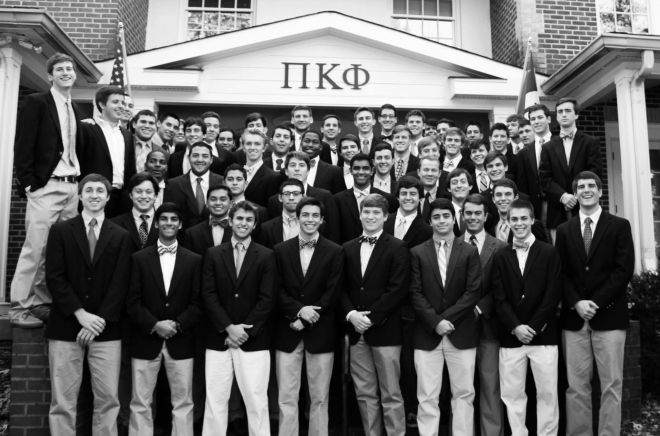 Most of the members of these professional fraternities will also share a common major as you. Members of the pre-med fraternity usually major in biology or chemistry. If any incident of hazing does occur, it is the responsibility of the Professional Fraternity Council to report such an incident to the head of the Greek Life Department who will bring up school charges against that fraternity for hazing. The Professional Fraternity Council is made up of members from every professional fraternity on a college campus so the size of the council varies depending on the college. The by-laws of the constitution for the Professional Fraternity Council also vary from university to university. The president must be elected by a majority or plurality of the vote, depending on how many people are running for president within the organization. The people running for president must have at least 1 semester of experience or more sitting on the council as a full time member. However, the other positions in the Council such as treasurer, secretary, fundraiser, and Events Coordinator can either be elected or appointed to the position by the president without an election. The professional fraternity holds events that join together all of the professional fraternities on campus. This may include a party for a big event such as Christmas, Thanksgiving, Halloween, Spring Break etc. Or it can include a professional event in which a speaker comes to lecture on an important topic that is of a concern to the members of each of the professional fraternities. The Professional Fraternity Council is a great organization on a college campus and if you are a member of a professional fraternity, I highly encourage you to join the PFC. College Sororities -Are they for you?